All of what I’m about to say is in my capacity as a fellow writer giving writing advice to other writers. I am NOT a lawyer, I am NOT giving you any legal advice. I do NOT represent you or your legal interests in any way. Please do not give me any confidential information. Any such information will not be privileged. So let’s look at some bits of a contract that was passed to me. 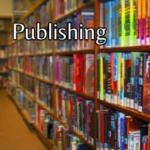 Publisher and source name excised, of course – I am presuming that the publisher simply doesn’t know any better. 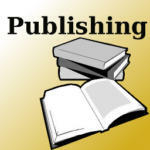 Owner hereby grants to The Publisher a worldwide non-exclusive license to reproduce, publish and display the Material, in whole or in part, and to incorporate the Material, in whole or in part, into other works (the “Derivative Works”), as determined by The Publisher. This is bad on multiple levels. The contract says they can take a short story and repackage it in any anthology (or drop it from anthologies, add to another anthology, etc) however they want, whenever they want, at their discretion. It also says they can create other works based on your work – audio? film? a novel? – without telling anyone. It isn’t clear that it’s English language only, or that it’s print only. Without clearly defining audio rights (or English language rights), it could be seen as granting translation, audio, film rights. Owner acknowledges that The Publisher is under no obligation to publish or use the Material submitted for consideration in any way. The Owner further acknowledges that no compensation is due from The Publisher should The Publisher choose to use the Material. The second part is kind of horrible – but is hopefully due to the specific project that this contract was for. But let’s note that this contract says they can use it however they want, whenever they want, as much as they want, without paying you a cent. But the first part is bad enough – there is NO POINT in signing a contract if they’re not going to use the material. This Agreement constitutes the entire and only agreement between the parties and all other prior negotiations, agreements, representations and understandings are superseded hereby. This is a dangerous clause for a simple reason – it does not specify for this project. So if you signed a multi-book deal with them first, then signed this puppy, I think there’s an argument that this contract makes the rest of them moot regardless of the project in question. If anything, this clause hurts the publisher – but it’s a good example of how omitting a single bit of detail can radically change the meaning of a clause. That any works submitted become the exculsive use of The Publisher until January 1st the year after The Publisher prints the work in question. There’s no publish-by or revert clause, and especially when combined with the “we don’t have to use your work” clause above, the publisher could hold onto your work and legally keep you from ever publishing it. On the first January 1st to follow any printing of material by The Publisher the work in question may be used by the original owner as he/she sees fit but must inform any other agency that The Publisher continues to have rights to print any submitted or printed material in whole or in part for advertising purposes. Rights reversion should be clearly stated as such – and should be phrased as limiting the publisher’s rights. That is, THE AUTHOR IS granting the rights, the publisher’s rights EXPIRE after a certain length of time. Of course, even if the contract is great, they might not be providing enough value (in terms of exposure or money) to be worth what they’re asking for. Or they could otherwise behave badly – paying late, trying to do digital versions without asking, or generally being scum-sucking vermin. But luckily, the Internet is changing publishing so that doing that sort of thing is getting harder and harder. And be sure to check out Writer Beware for a lot more advice on this sort of thing. They’re an invaluable resource. Thanks for reading all this, and I hope it helps you as a writer, publisher, or as both!